Last year I read and enjoyed Nguyen's childhood memoir Stealing Buddha's Dinner, so I was way psyched to learn that she had a novel out. In some ways, this story of two sisters takes place where the memoir left off, although with a different cast of characters. The women, born in the US to Vietnamese immigrant parents about a year apart, are in their late twenties and facing what some call the Saturn Return. The older one, Van, is having marriage woes, and the younger Linny has boyfriend problems and also a (related) job crisis to deal with. Plus with their mother is long dead, and their father is only semi-capable of taking care of himself, good Asian girls are expected to pick up the slack. You can just imagine the fun of growing up in the Midwest with a name like Bich (not pronounced the way it's spelled) and being so tiny that your peers want to use your head as an armrest, right? 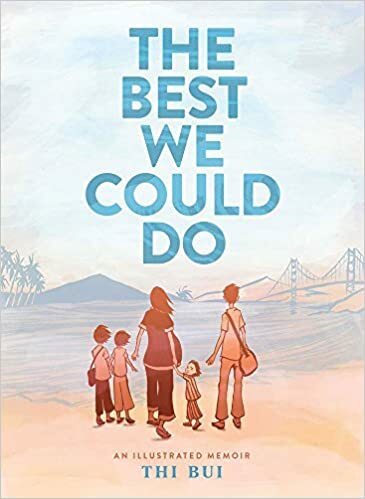 That's not what this childhood memoir from a Vietnamese-American whose family moved to Michigan when she was a baby is really about, but details like provide access points for people of all backgrounds, I think. Something else that will appeal to lots of y'all is Nguyen's love for and descriptions of food, especially the 1970s/80s candy that give her in her youth both torment and succor. She is a total foodie and is enraptured by the food writing in the Little House series. Who knew?